This 950,000 volt Stun Gun is like having a body guard in your pocket. It will take down any attacker with ease using only the included CR2 batteries. The soft rubber grip makes it easy to hold and its compact size allow it to be easily hidden, even inside a cigarette pack. Includes nylon holster for secure storage and carrying. 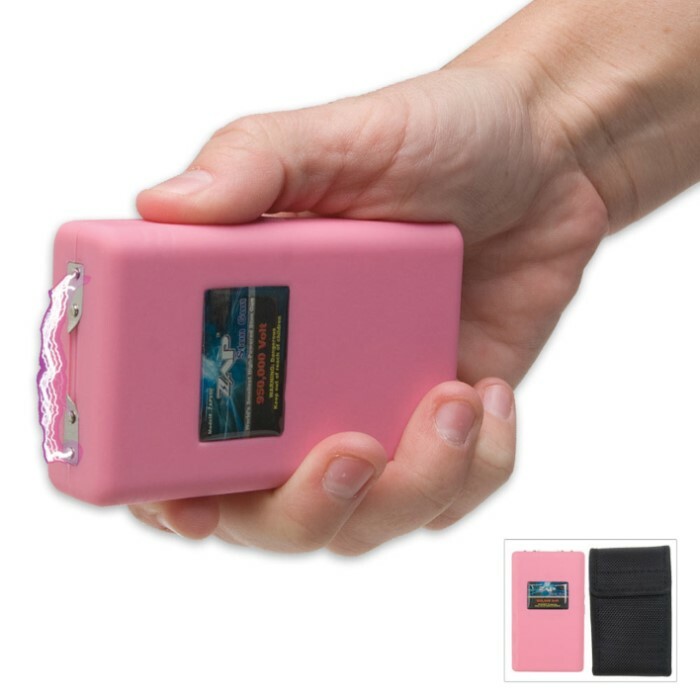 A safety switch prevents accidental discharge of stun gun.